I received a message a few weeks ago that changed the way I think about mass emails. If you’ve read this blog for a while, you know that I’ve advocated strongly against using mass emails when asking friends and family to support you (see here and here). Especially on your first campaign when friends and family can make a big difference. I discuss in this article how mass emails are impersonal, unengaging, and easy to ignore. Most mass emails I get from friends and family aren’t for Kickstarter. Rather, they’re for some kind of charitable opportunity, like a 5k run for cancer awareness or a gaming marathon to support a local hospital. Even with these emails, though, I questioned the tactics: If they really believe in the cause, why not spend the extra hour or two sending out personal messages instead of a mass email? Now I know. I’ve been looking at it all wrong. A few weeks ago, I got a fundraising request from my cousin. He spoke passionately about a program that made a huge difference in his personal development. With him graduating this year, he wanted to leave behind a financial legacy so the program could impact others as well. I was moved by the message and chose to donate. However, I realized that I was thankful it was a mass email, because it removed any sense of targeted obligation. Because it was sent to dozens of people instead of just me, I felt free to act or ignore. I’ve talked about the idea of “make it about them,” as in, focus on other people instead of yourself when you’re trying to create something or raise money. Up until now I thought the best way to do this was to write a personal email to each friend and family member, but that puts a lot of pressure on them. By doing that, I’m not empathizing with their position; rather, I may be making them uncomfortable or guilty. Be at least a little selective: Think about the members of your friends and family who might want to support you or might have a personal connection to your project/cause. When in doubt, do a role reversal–think about how you might feel if they solicited you for money or help. Send different messages to friends vs. family: I speak in different ways and about different topics to my friends versus my family. Rather than lump them all together, send two messages. You can still reuse a lot of the message, but the greeting (“Hey friends!”) and other content may vary. BCC, don’t CC: I don’t mind getting a mass email from you, but it’s annoying to later get reply-to-all messages from other people. Unless it’s a rare circumstance where you’re looking for a group discussion, please BCC the recipients, not CC. Choose a powerful subject line: This can be the difference between someone opening your email and completely ignoring it. The right subject line for you will depend on the project/cause; I’d just recommend spending some time on it. Share your passion with a specific example: Tell people why this project or cause means so much to you in a specific and even vulnerable way. If you’re raising money to fight cancer or build a house, share why this is so important to you. Assume that the person isn’t up to date with your life. If this section ends up being longer than 4 sentences, break it into multiple paragraphs. Include a clear call to action: Near the end of my cousin’s email was a request to support the program and a link to make a donation (if you can, use a link for which you can track conversion rates, like bit.ly). This can be particularly effective if you share what two different dollar amounts can do (one small and one big): “Your pledge of $20 can cover X, or your gift of $100 can do Y.” That way the person knows that even if they can’t contribute much, they’re making a difference. Add a PS: Oddly enough, I’ve read that the PS section of an email can draw a lot of attention. This is your final chance to bring someone back to the call to action after they’ve passed it up, so use it effectively. I would suggest using the PS to link to a photo of you that relate to the project/cause. Does this only apply to friends and family? Yes, I think so. For complete strangers, I still believe in creating real, genuine relationships. Your first contact with a stranger shouldn’t consist of you asking them for something. The exception is if the person has opted into being contacted you, like via an e-newsletter. What’s your take on mass emails? I’m fascinated by the fact that you changed your stance…but impressed that you took the time to convey your thoughts to your broader community. Admittedly, for my KS projects, I took the approach of sending two different e-mails (family, in which one has a fundamentally different relationship and friends) and the response was overwhelmingly great, but from having read your earlier posts, I can see how a mass e-mail may be dismissed out of hand. Taking the time to craft the right message is the most important part, whether you’re sending one, two, three, or more e-mails to prospective “Backers” or contributors. Joe: I’m glad to hear the approach of sending two different mass emails (one to family and one to friends) worked out! I now see how that can be better than sending individual emails. This seems like Avaaz’s mails. They can be both informative, with clear call to action buttons and definitely not pressuring. Only After you donate, or sign up you get a thank you message, and feel a little more human. PS Great stance. I hope it lightens your weekly schedule to 75h/week. Harry: I’m not familiar with Avaaz, but I like anything that makes a mass interaction feel more human. They basically use donations for good cause. But, filtering out because of the call to action buttons or the plethora of links, would destroy the charity. I guess when you subscribe it comes to your inbox rather than your spam folder. 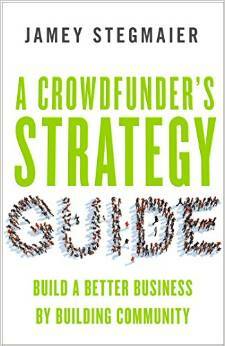 I mentioned it because it uses crowdfunding, altruism and the belief of many to one dream. Like you did. Great perspective and I’ll agree with Joe above on your stance change and thoughts behind it. I agree that mass emails can be effective and I love the additional insight your provided. However I still believe a personal message can have a greater impact. In my campaign I created a link for tracking for both myself and my wife. She did mass emails I took the time to create a personal message to everyone I sent it to. The results were I targeted less people and had a high conversion. I did use a mass email near the end to highlight success and mention the campaign was ending. Still 3 months later we are being asked by friends if its too late and can they still support the game. I now have 42 pre orders. When it comes down to it. It’s all about the message. In my targeted emails my focus was to create awareness around what I was doing and said check it out let me know your thoughts. I was very careful not create a message where someone felt pressure to support me. I think a combination of both is they way to go. Take the support out of it and focus on spreading the word. Thanks for the insight Jamey! Joe: I totally agree that individual, personalized emails can be more effective. When I did that for Viticulture, I tried to make it as low-pressure as possible…it’s just when I think about doing that now, I think it’s really difficult not to make someone feel like you’ve backed them into a corner at a cocktail party. Can you share your approach of how you avoided making people feel targeted? On the subject of subject lines, I’m a North American Rep for a game company and so send a lot of emails a day. So I’m always reading to try and improve my approach, one of the most interesting things I read recently as a tip was to write subject lines that are a sentence and it will get opened more likely. This is of course wildly different from how I learned to send professional emails long ago when I first learned how. I’ve only recently started experimenting with that type of subject line so I can’t really say if it’s increasing the amount of open emails I send or not. On a side note I was reading about a sales software that sends personalized emails for you, the AI is even smart enough to qualify customers and answer some questions so by the time it escalates to an actual sales rep it’s likely to be a strong lead. Obviously such a thing is likely only going to be used at large businesses but I found it fascinating none the less. Kevin: That’s an interesting method. So, instead of writing, “new project launch today!” in the subject line, you would write, “We’re launching a new project today!”? I’m curious if you see an increase in opens over time. If you choose to send a mass e-mail out to a bunch of recipients in a standard e-mail client like Outlook, chances are, that e-mail will not reach some or all of your intended recipients. The reason is that ISPs tend to see that as SPAM and will block it- either outgoing or on the receiving end. This is made worse because typically, e-mails sent have a link in them or some other call to action- which is another red flag for the filters out there. To get around this, and to comply with the rules about SPAM, consider sending that e-mail through a service that specializes in this service like Icontact or ConstantContact. Those companies have agreements with many ISPs that will allow your e-mail to reach your recipients and not be blocked or put into a SPAM folder by a receiving e-mail client. Your e-mails will also look more professional, help you manage subscriptions and provide the required ‘unsubscribe’ option at the bottom of each, and you’ll get actual data on how effective your e-mail was, how many people opened it, how many link clicks occurred, etc. No e-mail sent with a call to action is any good if it cannot be received and manual management of a spreadsheet of e-mail addresses can be a painful and time consuming experience. cewargames: Thanks for sharing this approach! That’s a great point that your email isn’t going to make a difference if your friends and family never see it because it’s in their spam folder. Although the mass of my email targets is small, and those targets are strangers rather than family or friends, I’m currently confronting a challenge that seems related enough to present for feedback/suggestions in this discussion. I’m creating a game on a hot scientific topic that increasingly affects our future, so its prospective users include gamers, science educators, and eventually the larger public. I plan to use crowdsourcing—e.g., surveys and contests involving simple questionnaires—both to inform game content and build a network of supporters prior to production. What my emails request of targeted persons, who are leaders in the topic field, is that they spend a small bit of their networking clout to help spread the word about the crowdsourcing. (Crowdsourcing can’t happen without a crowd! And although I have credentials relevant to the topic, most of my peer network is no longer alive.) Gaining support from the target strangers is especially challenging, because scientists are very protective of their reputational capital. Despite lip service to public science education, communicating to the public is not well rewarded in the scientist community, and scientists who make a big public splash even draw negative criticism from their colleagues. Dorothy: Thanks for sharing your in-progress thoughts here. I like the spirit of what you’re doing, though it does break a “rule” I’ve mentioned: In your first contact with someone, never ask them to do something for you. That’s just not a good way to start out a relationship, and it makes the message too easy to dismiss. So I’d recommend splitting your contact with these people into one or more messages where you establish a relationship, then at some point talk about what you’re trying to achieve. Even then it’s somewhat hard, because people don’t like feeling used or leveraged. In that way, you might be better off seeking outlets where people have already opted in to offer feedback, like Facebook groups. Thank you for your thoughtful feedback, which both prompts me to reconsider your “rule” and provides a needed push toward the Facebook groups you mention. Regarding your “rule,” in general I agree with it, but think that sometimes knowledge of the recipient can justify “overruling” it. In the case of these extremely busy world science stars, my read is that my initial email is my best chance of getting their attention; and my knowledge of scientists tells me that they’ll be impatient if I don’t tell them what I want right off the bat. What I count on to prompt their receptivity to my request in a first contact is that it supports a mission that they care deeply about and are actively pursuing. Also, to show them the quality of my work, along with my request I send them a copy of my previous game, where doing so has an entirely different (i.e., inoffensive) meaning than sending an uninvited game to you would have; so far, all recipients seem to like receiving the game, which they often use in holiday parties for their students. Dorothy: I see what you’re saying about respecting a person’s time–that makes sense, especially if you’re appealing to them about something you already know they’re passionate about. It sounds like these people might be intrigued by the data, so perhaps as part of your request to them, you could add value by offering to share the data. That gives them an extra incentive to share it as well. Always enjoy seeing how you are able to change your stance on something when new better evidence is presented to you. I too have a similar stance to you with mass market emails and much prefer sending a handcrafted email to each person, but see the other side with feeling pressured because its targeted directly at you. Interesting to see new angles to every method. Thanks, Jamey. I told email recipients that I plan to submit an article based on the crowdsourcing data for publication in the popular press quite a while before the game is produced. Making the results public is right in line with target recipients’ goals. Oh, and said article will not include spoilers as regards game play! Interesting topic. I don’t have much to offer in the compiling of mass market emails but I can tell you what I do with them or any other soliciting email: absolutely nothing. Even if I know the person and it was personally written with me in mind. Nothing against them or the project, but emails don’t resonate with me into action. However, if I receive a group message on a social network such as FB for solicitation, I feel included in the community and am much more interested in helping out said project. I enjoy seeing the comments/interaction/enthusiasm taking place and am happy to have been included, even though it wasn’t directed specifically to me. I find it shows that the creator is putting themselves out there for all to see and is proud of the project. I’m fine with emails for follow up but not as a source of initial solicitation. Although if I receive an email with a link to check out a project and it’s community, with the option to donate there, I’m good with that. Chad: That’s a really interesting thought about how an e-mail ends up being a one-to-one connection (at best), while there are other formats the create community. If I receive a mass email I hardly feel valued. Pitching it the way you did in this post Jamey, puts it in a completely different perspective. But I needed someone to open my eyes to this point of view. I would not expect anyone of my recepients to be as attentive as you :) I have the feeling we would need to explain our decision to use a mass approach to make sure they understand… Any thoughts? J.I. : I like that a lot! If you explain something like that in the e-mail to show that you’re being considerate of the other person, I think they have a greater chance of reading it.